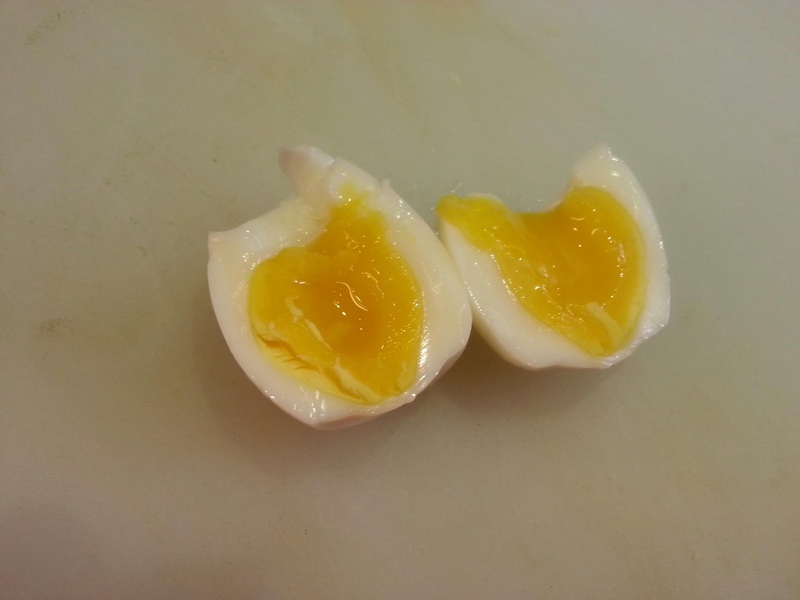 We make a lot of soft boiled eggs for our Chinese wine eggs. We sometimes encounter problems peeling the eggs when they are a bit too raw and the membrane sticks to the white. A little trick learned from the Japanese ramen shops is that if you add a few heaping tablespoons into the water when you boil the eggs, it makes the egg much easier to peel.